Just like with patch notes, people have been asking us what has changed exactly in the Enhanced Edition. Well, so many things have changed, we don't even call it a patch or an upgrade anymore. It's a new game. You've seen the short version of the changes (controller support, split screen, full voice, updated story, new characters and areas, 360 cam, wands, grenades, new skill system, new loot system, Honour and Tactician mode, DX11, 64bit...) but here is the long version. We don't even think this list says it all, because sometimes one little change took weeks to get just right, and other changes were deemed too small to make it to this list. We even didn't list bug fixes in here. So without further ado, out of more than ten thousand changelists, I give you The Enhanced Changelist. - Icons for all primary and secondary stats, resistances, etc. - Madora's dialogs and arc have been edited and revised. - Jahan's arc has been repaced and the delivery tweaked. - Bairdotr's arc ending has been moved to a unique region. - Companions now banter with one another in addition to making one-off comments. - New cutscene added to "the truth about the murder" conversation. - The orcs near Black Cove now explicitly say they're looking for the Star Stone. - After you fight Braccus, Arhu now appears and directs you toward the White Witch. He then sends you off to the Shelter Plane. accomplished and about what you should do now. - Added a dual dialog after the Evelyn fight. - In the Homestead, Zixzax now tells you about the functions of each room. Cyseal. He gives you a teleporter pyramid. - Rewrote the Shelter Plane dialogs with every new Star Stone. you haven't done the Jake quest by now, he'll tell you to go back instead. - NPCs in the Luculla mines now mention Hiberheim and the White Witch. - If you missed the manual in the mines, Icara and/or Arhu will send you back. - Redecorated the Conduit's HQ in the Immaculate Cathedral. - Added Conduit notes about her raising an army. comment on. Finding the map adds a map marker to your journal. logically. Anything new is immediately the main topic. unlock a bit more of the story. of the main characters, they appear as zombies). - At the confrontation with Evelyn, Leandra was added and she's angry with Evelyn. - Rewrote the flow when entering the Shelter Plane. the Hall. They banter about your deeds. you haven't done the Jake quest by now he'll tell you to go back instead. foreshadow what Icara will reveal. the mines collapse) to direct you toward the White Witch. also send you to the cabin first. - Introduced a new cutscene after freeing Icara. - Redecorated Leandra's HQ in the Immaculate Cathedral. - Added Leandra notes about her raising an army. - Added a map to the HQ with Phantom Forest on it that the players comment on. Finding the map adds a map marker to your journal. skillbooks) but if you miss them, they may still show up in loot or specialized shops. - Spark Master's party mode is real now. He has confetti and he's not afraid to use it. - There is a skill called "Summon Zombie Nick"
- Mephisto trade table is consistent with the dialog. - Eagle Eyes talent inverts the ranged cth penalty. - Updated ranged penalty formula to scale better into late game and high PER values. keep your armour score up to par with your level. them alone, they will remain neutral. - Assassins will try to backstab, and will use invisibility potions if they have them. - All ghosts may inflict Chilled status on melee attack. have to look for them. - Zombies are slow and have low AP but are deadly. - Added Death Blaster to Pontius Pirate's ship. - Added Radagoth to the game, on the west beach of Cyseal. - Immune to lightning and poison, may stun melee attackers. - Angry chest. Spits gold and bites. - Bloated corpse. Creates poison cloud when damaged. - Feverish corpse. Explodes when damaged. - Unholy altar. An altar can heal HP of NPCs. - Poisonous mushroom, you can shoot it and it'll create a poisonous cloud. is not destroyed or as long as combat lasts. they grant is always a bit higher level than what you're used to. - Higher level gear no longer has names that feel unappropriate for high level items. - Damage, crit chance and AP cost of all weapons was rebalanced. and must be found by the player. recipes give quick access to crafting combinations you have already found. and icons immediately clarify what the numbers are about. - Added a new tab to the skill window for skills that were granted by equipment (e.g. - Gear, loot, items: game economy was completely rebalanced. variation now and more different combinations are possible. - Magically boosted gear comes in 5 tiers: uncommon, rare, epic, legendary and divine. and even rare items become more commonplace. - Homestead is on fire! - At the Cyseal Abandoned House, the archer has Nether Swap. - At the Cyseal west gate, there are two extra enemies: bolt-stricken zombies. - In the dog ambush fight near the trapdoor, AI has extra skills and a grenade. - In the fields near the West gate, archers will target bloated corpses. - In the fields near the West gate, there's an extra Waterproof Exploskeleton. behind the player in the easy fight. - Near the zombie carriage, a pitch dark tunnel was added. - The AI in the orc landing fight in Cyseal can make the barrels explode. - The false Source Hunters in the mirror dungeon fight have summon skills. - The Lighthouse fight has a Ward protecting the ghoul. - The orc landing fight in Cyseal has 2 extra cultists. with special arrows and an extra Decapitator. - Toxa and Sheba have Crawling Infestation. - Toxa and Sheba may inflict Disease to melee attackers. - Tutorial fight in Cyseal has 2 more archers, one of them has a special arrow. Lieutenant has grenade. - Second undead encounter north of Cyseal, 2 extra archers spawn when a boar dies. - The sparkmaster can fire missiles that will fall on target after one turn. 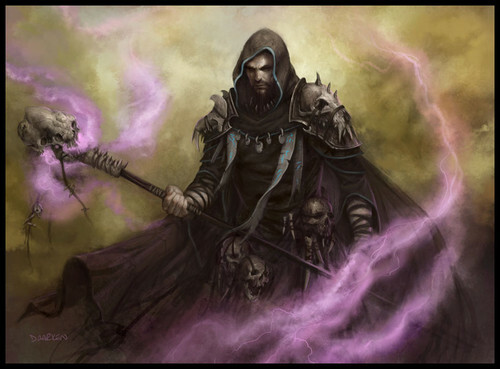 - The seaside thugs are joined by a Summoner that can summon a nether jester. - Evelyn fight is joined by 3 orc rangers and a shaman that spawn at the cave entrance. - The Aenemic cultists can summon a slug. - We gave Lady Anna an Initiative Aura and an Iron Ward. Grenades. Added 2 Pike men. - In the cathedral in Cyseal, five more cultists join the fight after one turn. - In the orc and skeleton fight in the Black Cove, the shaman has a fire ward. from the little room but can be aggro'd before this fight. - The source abomination has banish summon and haste. - The burrowed crabs in Black Cove are joined by an Angry Chest. - Pontius is joined by an angry chest on the pier. Mark of Death to Arros Frozen-Page. - When Boreas changes seasons, he also summons the corresponding Elemental Ward. AMAZING!!!! Thanks so much for all of your hard work! Last edited by 4verse; 27/10/15 04:12 PM. Is there any update to Zandalor's trunks? It does not even RHYME. So bad, really. I pledged and all I got was this lousy awesome game! You saved this game!!!! Thx!! The fact that the loot is generated when the level is loaded also makes sure that the "random" is not really random. For instance, if we make a loot table Cupboard that has 10% chance to drop a diamond, and there's 10 cupboards in the level, we now force the fact that one of those cupboards must have a diamond. The chance of the other 90% stuff gets smaller and smaller as you don't find the diamond. When using a real random, it's based on luck, and you may have found 4 diamonds or no diamond at all! So if we now create loot tables and we specify these "chances", we keep the game a lot more balanced, and we have a lot more control over what items you find. Split screen on PC works, but you need 2 controllers. Split screen on 4K works, especially with a GTX980. Actually the random treasure table generation, is, and is not, always random. You always start with a random loot when first entering an area, that I agree, but there is an oddity. I don't know if it is intended or not but here it is ; When you first look a the content of a chest for exemple, you will have a lot of item. 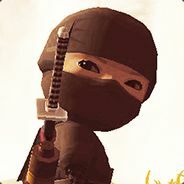 But, if you make a mistake, let's say you're caught by the owner of that said chest without having saved your game after taking the loots, and you reload your game from before opening that said chest, then you'll have a different lot of items in that said chest. And that second lot of item will not change again, no matter what you do. So, if you had obtained a really good item the first time, the next time you go back to undo your mistake, you'll lose that good item, and you are screwed. A new set of item will have replaced the previous one, definitly. So, all in all, it is good, I think it help resolve the save/load scumming, but it is in fact a blessing and a curse when playing if it is intended to behave like this, giving you two lot of different items, and that only the second is permanent. In my opinion only the first one should exist. Note : I've tested it in two times. First by entering a fresh area and testing it in two times, once by going from loading to loading (eg : Stairs, when you go through stairs, you can save before, and load infinitely until what you want when entering the second (or basement) give you what you want), and once by reloading the whole map (understand the whole map of Cyseal and it's surroundings for exemple) numerous times to see the effects. Edit : Oh, and be careful too, if you save, let's say in front of a merchant, and he had an item you wanted, but you hadn't the time to do what you wanted and quite the game before for exemple. Because when you load back your save, the items the merchant sell will have change to a second lot of items, the same way it work for chests and other containers, wich, I find, too say the least, really unpleasant. Last edited by Skorn; 28/10/15 06:08 PM. Thanks again for spoiling us with yet another masterpiece, as even the mighty Gothic/Risen sagas fell on the third installment! To make it to your third game while keeping it as brilliant as the first, is a very rare thing to see! It's amazing how you've actually managed to bring the spirit and atmosphere of the first Divinity into 2015, as this game rivals the Baldur's Gate/Torment series era of cRPG classics...To live to see another Classic series be born in this era is a real treat to witness indeed! The Enhanced Edition seems to (oddly) have several old bugs that (I thought) were eliminated through patches in the original release. For example, people on Steam are stating that health bars aren't syncing properly between multiple clients in co-op, possibly because of stat-modifying equipment. Wasn't this fixed back in the day? Also, people on Steam are complaining about that old bug where melee characters need 1 extra AP to execute a melee attack than is actually required or used (i.e. the game claims Madora's attack takes 5 AP when it's only supposed to use 4, and it will only use 4 when the attack is executed, but it will not allow you to execute it unless you have 5 AP stored up). Wasn't this also fixed a long time ago? Gyson, nope that bug was not fixed in the original version about needing a extra AP to execute a melee attack. Once you attack the enemy I realize that the character moved a tinny bit from it's original spot causing the extra AP (by meters like it may be at 0.9m from the enemy from the first attack than trying to attack again it will be at one meter where it will need a extra AP to move a little bit more). Spiegelberg! He, Spiegelberg! Die Bestie hoert nicht. Things like this make me happy to be alive. You were crowd-funded to great success, and you made enough money to create something special. After doing that, you continued to make money because the game you created was fantastic. And what did you do with (some of) that money? You returned it to the people who made you successful by enhancing the game far above and beyond what anyone would have expected--especially nowadays. Last edited by Obee; 29/10/15 04:20 AM. Where are the Kickstarter backer rewards? I was told by Raze that they'd be in the EE.